It takes time to manage a sports team, club, or similar organization. A Teamup calendar makes it easier with powerful features and easy access. Managing a sports team, a league, or a club can become very involved. 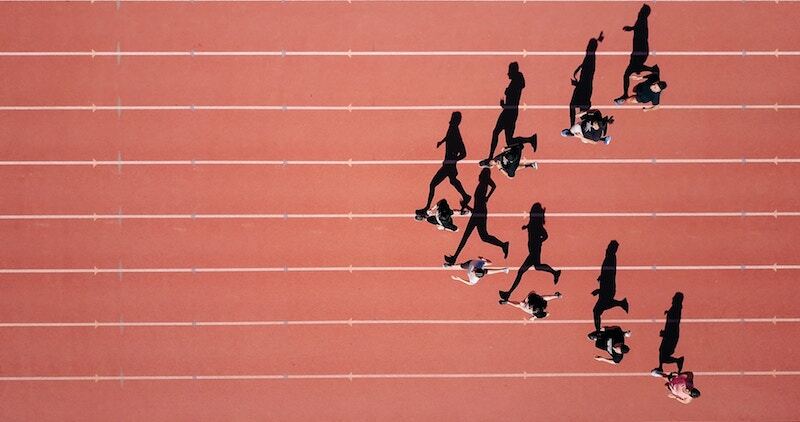 Whether you’re part of a team as a hobby or a profession, the scheduling aspect is important. It’s also complex and can take up a lot of time to oversee. With sports management, there are many factors involved in scheduling: members, training schedules, practice games, locations, travel, games, tournaments, and other events. It’s a lot to manage. A Teamup calendar can make this big job much easier. People all over the world use Teamup to manage their sports teams and clubs. We have 1000 and growing members in our organization (USMES) which manages a cycling team, triathlon team, running team and adventure racing team. Our team is split up into regions around the world and each region has a calendar of local events and we have a few additional calendars of national events (for each of the team sports) which ID’s our biggest events, and a calendar for our camps. We love the filtered viewing options and flexibility of Teamup. Read through the examples and ideas below, and see what you think. How could you benefit from an easier way to manage a sports team or club? We list events based on type (road, gravel, mountain, cyclocross, etc.). Teamup has made it far easier to present a calendar-based display of confirmed events. You can use a Teamup calendar to input all the events for your sports team or organization. Then share the calendar on your website or Facebook page. Fans, family, friends, and other interested folks can easily see event information, and you don’t have to manage multiple queries about what’s happening next week. Visitors can see event details and adjust date ranges easily on the Tulsa Cycling Event’s Teamup calendar. We are a football club with 14 teams and 14 assistants that are responsible to manage about 300 football games a year and we have actually brought order to the entire organization with your free of charge option calendar. We are able to manage the exercise units of 170 kids here in Germany! Thank you. You can also create an event calendar that’s only accessible to team or club members. The easiest way to do this is to create a Teamup Calendar, then share the calendar with team members via unique calendar links. You can set the level of access permission that your team members need. If they only need to see the calendar events, then a read-only link works well. If they need to add or modify events, you can create links with add-only or modify-from-same-link access. 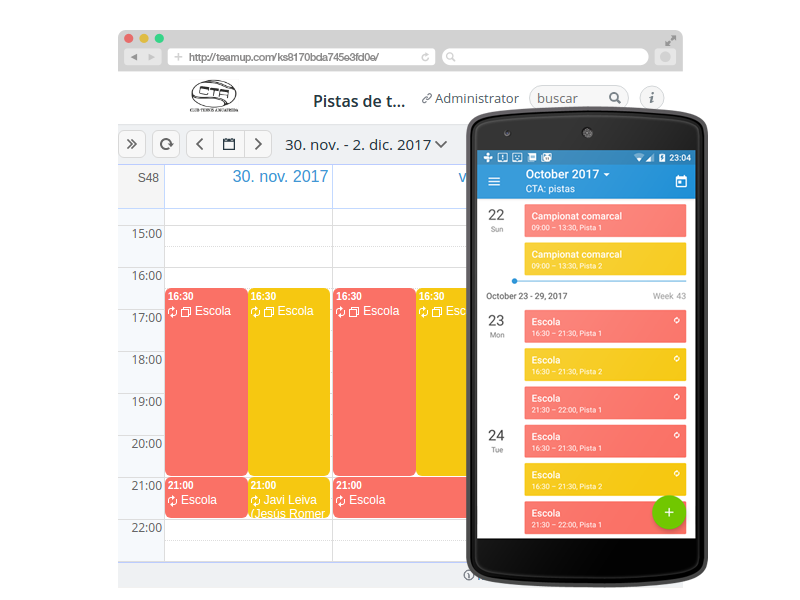 Team members can access the shared calendar from any web browser, mobile browser, or via the Teamup mobile apps for Android or iOS. This club-wide events calendar is in the members area of the website. If you have a WordPress website, you can use the Teamup plugin for WordPress sites. 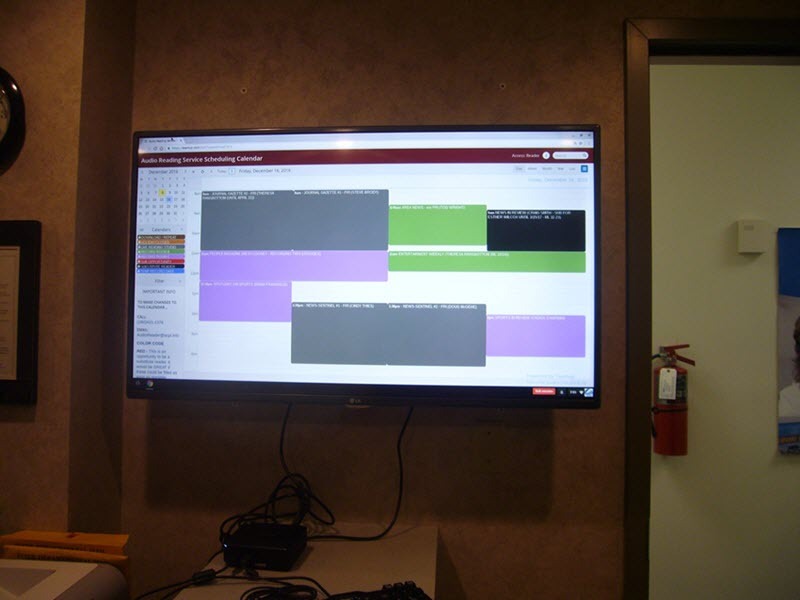 A large display of a Teamup Calendar, which auto-refreshes to show calendar changes. Read the story here. It’s so easy to add new users! It’s completely reliable. We now run a totally decentralised booking system, with effective control of each user’s privileges and no unnecessary fuss. 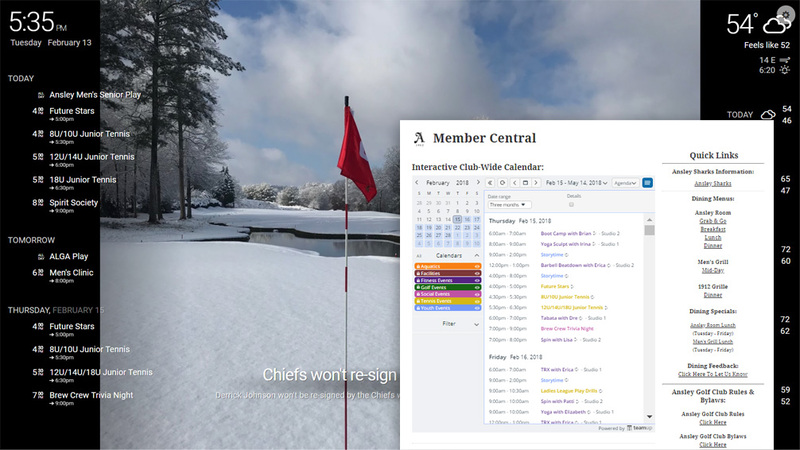 A shared members calendar also makes booking easier; perhaps your club members need to reserve training sessions, equipment, fields, or other resources. You can set up a Teamup calendar to allow members to see when spaces or equipment is available and input their reservation, like this tennis club in Spain. We are a sports team. We use the calendar to record our individual training efforts (using the colour coding system), forthcoming dates for competitions, and dates for team training / coaching. There are many factors to coordinate with team management, and the ‘old methods’ of scribbled notes, misplaced clipboards, spreadsheets, and endless emails and messages aren’t efficient. A Teamup Calendar can bring all the important functions of coordinating a complex team schedule into one user-friendly interface. Then assign specific training times, workouts, coaching sessions, or other items directly to their sub-calendar. Access permissions let you set each calendar link up so team members can see each others’ calendars, but only modify or add events to their own sub-calendar. 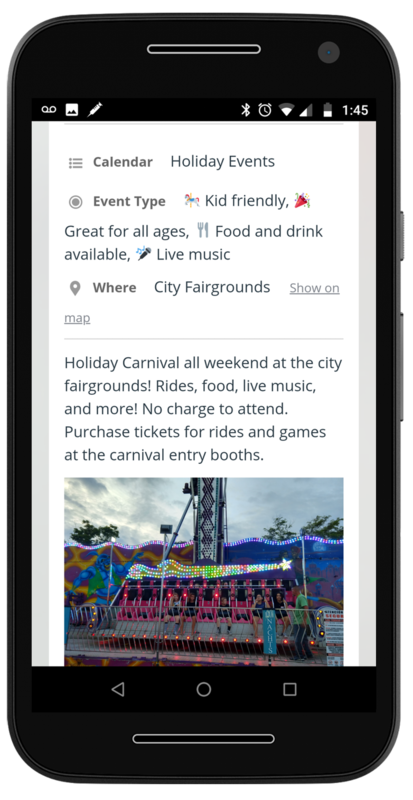 Event comments stay with the event and can be accessed on a browser or via the mobile apps. All the discussion and information stays right there in the calendar, so you can easily reference itwhen needed. Reduce the amount of time everyone spends on back-and-forth coordinating by having team members put their travel plans, schedule requests, appointments or other info into the calendar. You can review and respond to these inputs as needed, and it all stays in the calendar. You can also easily share individual events from your Teamup Calendar, with the Share as page feature. It’s easy from a computer or from a mobile device. On a computer, you simply open the event details, click the Share menu, and choose the As page option. The event will automatically open as a unique web page, with all the images and information included. People you invite can use the buttons at the top to share the event webpage. Copy the URL for the event page and you can share it via the method that works best for you. 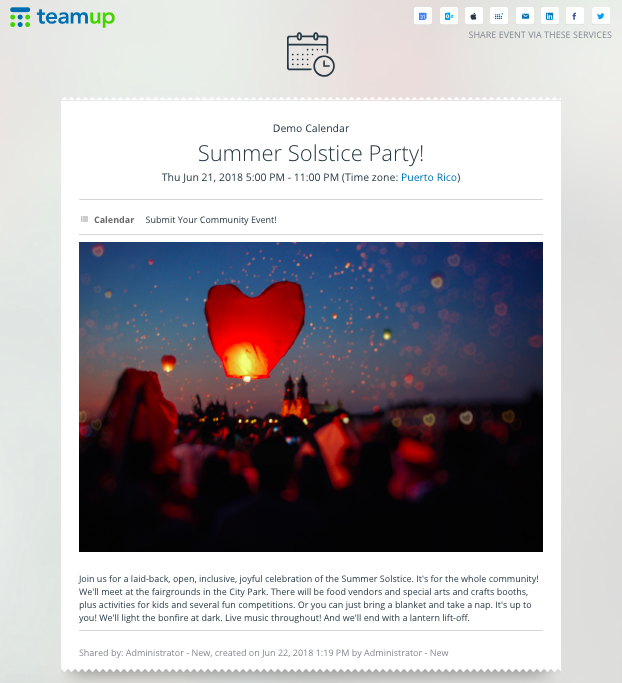 It’s easy to promote an event to an entire email list or via social media. You can add event signups and enable event comments for even more functionality. 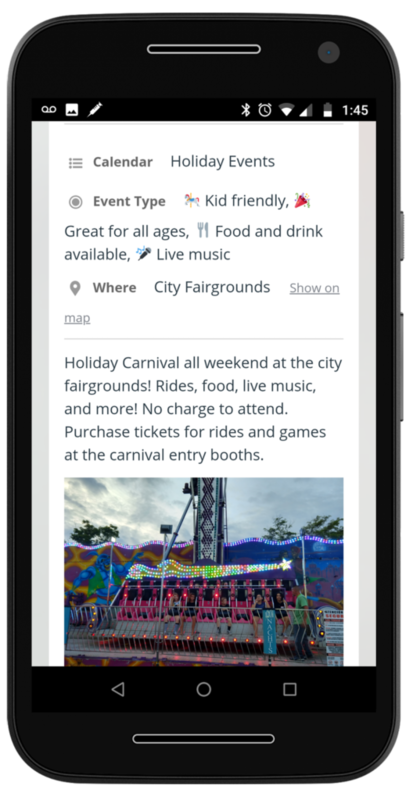 The sharing options work just as well with the Teamup mobile apps; use the in-app options to share an event on social media or through other apps on your device. If you update event details, the event web page will automatically be updated, as well. So invitees will always see the latest information when they view the event page. Promoting team events, tournaments, games, and promotions is much easier when you have everything on a Teamup calendar. Try any of our live demo calendars to see how the features work, or get started and create your own Teamup calendar now.